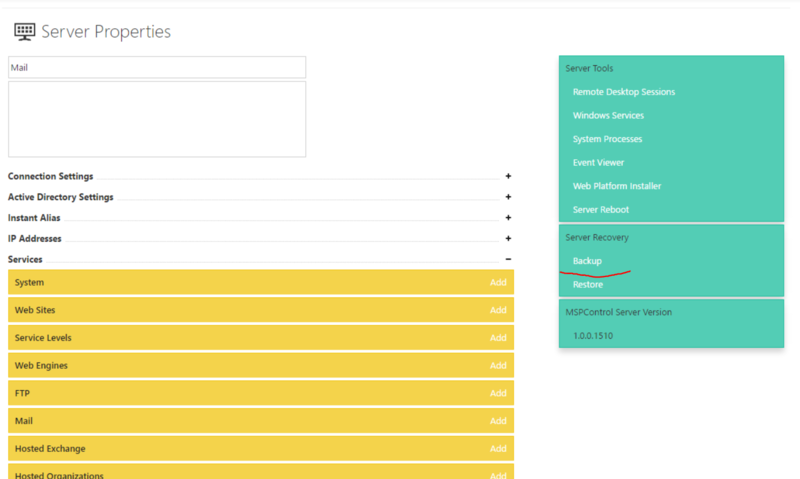 MSPC has built-in backup/restore functionality allowing you to backup hosting space items (web sites, FTP accounts, databases, etc.) and in case of disaster recover them. 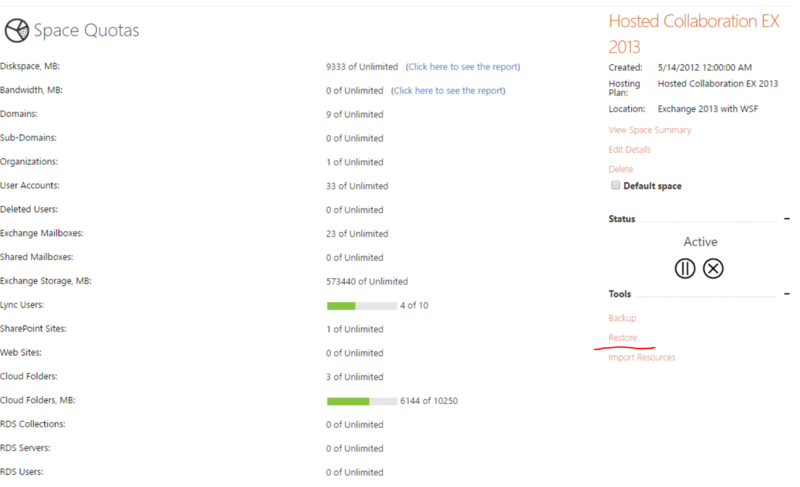 MSPC Enterprise Server uses backup temporary folder during backup and restore for intermediate file operations. 1. Using Windows Explorer create a new folder somewhere on the hard disk, e.g. C:\MSPCBackupsTemp. 2. Allow "write" NTFS permissions on that folder for Enterprise Server application pool identity. 3. Specify this folder in System Settings as described here. 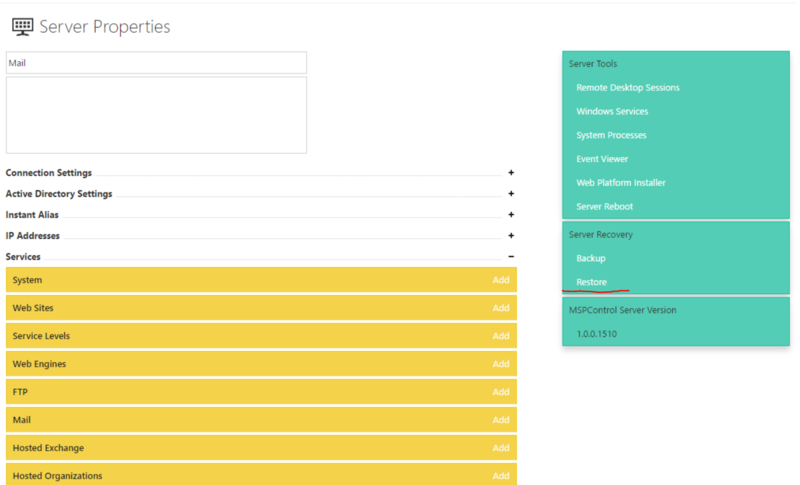 Both MSPC resellers and users have an ability to save/read backup to/from their existing hosting spaces only, but MSPC administrators can save/read backups from any server local folder or UNC path. 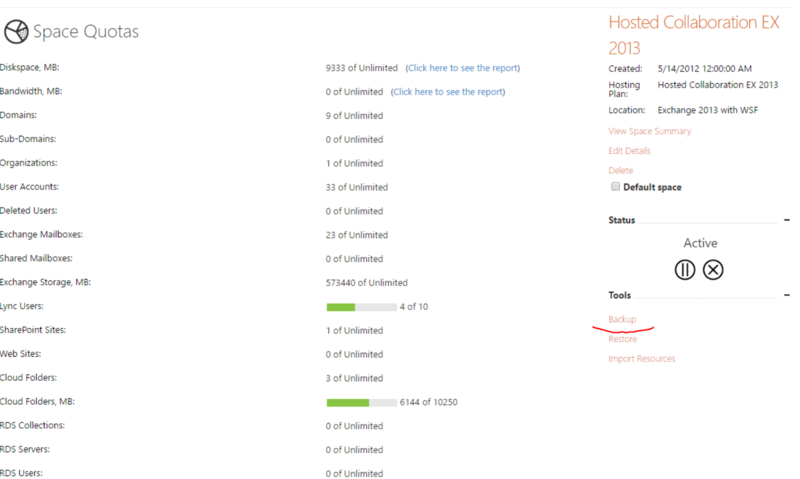 If you are going to place backups to some local folder or UNC path (e.g. C:\MSPCBackups") MSPC Enterprise Server should have "write" access to that folder like described in the previous section.